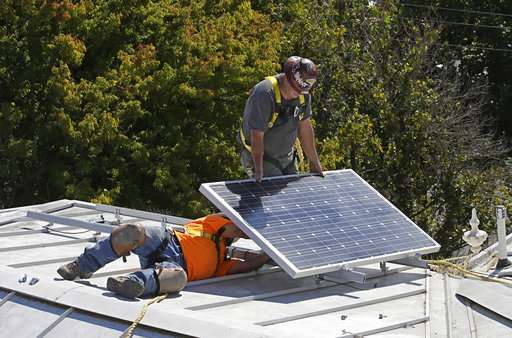 California may start requiring solar panels on new homes and low-rise apartment buildings built after 2020, the first such mandate nationwide and the state's latest step to curb greenhouse gas emissions. It does include exceptions when requiring solar panels isn't feasible—such as on a home shrouded in shade—or cost effective. Installing storage batteries or allowing community-shared solar generation are available options. 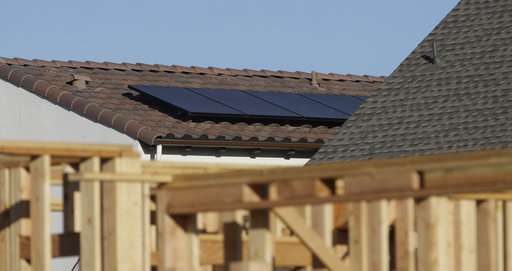 The requirement would only apply to newly constructed homes, not existing ones, although many homeowners are choosing to install solar panels with the help of rebate programs. Anyone who actually believes that adding 10k to the price of an 800k home is going to have the slightest impact on California's housing market, simply are incapable of doing math as we know it. "Poorer Californian families without solar panels must pay $65/year to subsidize wealthier families with solar, finds UC-Berkeley economist"
"It doesn't make sense... Rooftop solar isn't getting rid of the utility. It's just changing who pays for it." "Often forgotten - net metering takes money from everyone (including the very poor) to subsidize those with solar panels"
It's a good idea California, if you can find people to install them. Or build the house for that matter. Why not making America great again by building carbon stoves at the new houses?